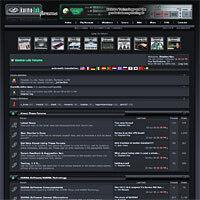 Karma-Lab Forums has been going strong now for over 11 years! With over 9,000 members, over 18,000 topics and over 108,000 posts, it provides support and discussion for KARMA Technology and the products that incorporate it. But it's not just about KARMA - all aspects of the instruments and related software are discussed in a friendly, non-confrontational atmosphere that is moderated by KARMA's inventor, Stephen Kay. There are separate areas for the Korg Kronos, Korg M3, Korg M50, Korg OASYS, Korg Karma, Korg Triton Series as well as others. New since 2012, there's also an area for Yamaha instrument owners interested in the KARMA Motif Software for Motif XF, XS, MOX, MOXF and Rack-XS. With hundreds of articles and tutorials, this resource provides the Karma-Lab community a way to build a library of useful "how to" information for working with the various keyboards, music workstations and software incorporating KARMA technology. But is it only about KARMA-related topics? Not at all! You will find articles covering many different aspects of the products, not just KARMA (although that has a large presence, of course.) If you're looking for answers on how to do something, this is a great place to start.